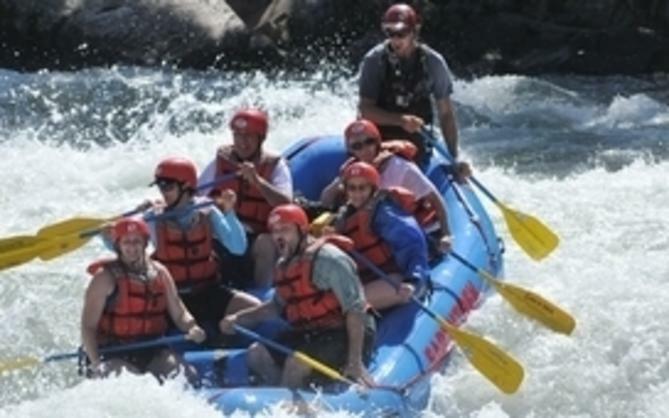 Are you ready for a historical tour in Old Sacramento that will give you shivers and maybe even goosebumps? 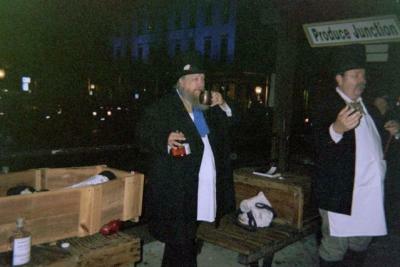 Try the Historic Old Sac Foundation’s Ghost Tour, available only through the month of October. 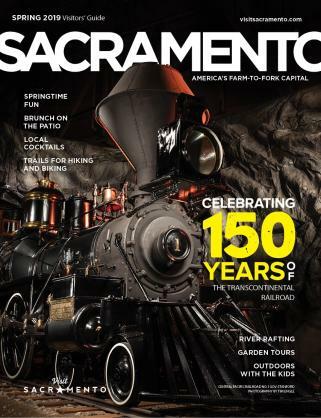 Even if you’ve previously enjoyed the foundation’s Old Sacramento Underground tour, rest assured that the Ghost Tour is not the same. It is ghoulishly special and unique. Last October, I got off work at 5 p.m. and met a friend for an early dinner at Fat City, one of the many fantastic restaurants in Old Sacramento. The atmosphere in Old Sacramento on a crisp fall evening is wonderful. The place comes alive with young families pushing strollers and walking with children, couples of all ages out on date night, and larger family groups out for an evening get-together. It was not what one would call a “late-night, party-on” crowd. Our Ghost Tour began at 6:30 p.m., just as the sun was setting. Our guide, dressed in period costume, was accompanied by a gentleman with an old lantern who helped light the way and brought up the rear to keep our group together. Our docent guide led us through the streets of Old Sacramento, telling spine-tingling history stories by the modern-day equivalent of candlelight (flashlight). Along the way, we learned more of the history of Sacramento. At strategic intervals, several ghosts from the past appeared to share their stories with us about their lives and times in early-day Sacramento. 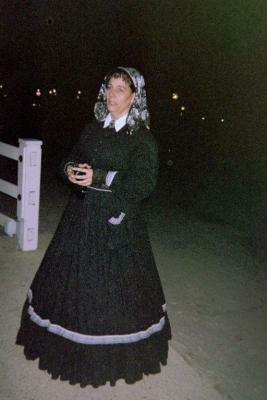 Each ghost wove into his or her story factual information about Sacramento’s history while entertaining us with information about their lifetimes. In between each ghostly visit, our guide told us the history of several different Old Sacramento buildings - how each was used over the generations and what ghosts still live there to this day. If you follow the Sacramento Hometown Tourist blogs, you will recall that in the Sacramento History Museum article we mentioned how much the story and contents of young May Woolsey’s trunk held Cindy’s attention. Perhaps it was more than just passing interest. Ever since May Woolsey’s belongings were brought to the museum, it is said that her spirit inhabits the Sacramento History Museum. As we continued our Ghost Tour and listened to the ghosts tell their stories, we realized how much the stories intertwine and connect. Ultimately, the ghosts altogether told one long story while each gave us the perspective of their shorter personal stories. Take this opportunity for a real “treat” in the month of October to take the Ghost Tour and have a nice dinner in Old Sacramento while you are at it. 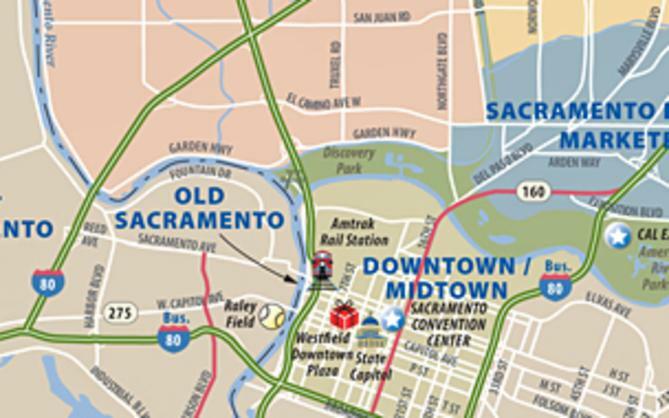 Click here for more information about the Historic Old Sacramento Foundation&apos;s Ghost Tour.